Surrised Khalid Amayereh "thought that the Dayton era was well behind us." in his final analysis "the Palestinian Authority (PA) decision to move against Muhammed Dahlan, the perpetual trouble-maker, will erase a major cause of the collision between Hamas and Fatah." he claimed, "the tragic rift between Fatah and Hamas" is not about resistance and liberation. Consequently, thousands of Palestinian are detained, "mainly because of ideological orientation or affiliation." and "because they happen to hold certain political views"
Being honest with himself the realisic Khalid he confessed "There is still much to be done in this regard. We must start immediately to minimize security coordination with Israel to the point of ending this shameful chapter in our political life." He also has no problem with the with the "de facto alliance" of his "brother" Erdugan with the Zionists, and Nato. Shocked with, the "summons for sipping a cup of coffee" Khalid is prompted to ask: What is going on? Are there traitors at the table? He "tried to contact the Palestinian security apparatus to enquire about the veracity or mendacity of the said reports. Unfortunately, officials wouldn't answer questions "because these are sensitive security matters." 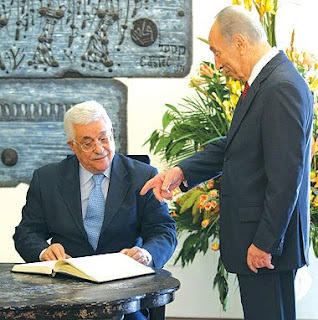 Khalid is still not sure "if the PA leadership is aware of the summons' story", because In another "final" Analysis, Khalid concluded that Abbas " will be remembered as a sincere man who tried but failed". That "sincere man who tried but failed" is the Engineer of Oslo who succeeded divividing of Our people, selling out 78% of palestine. 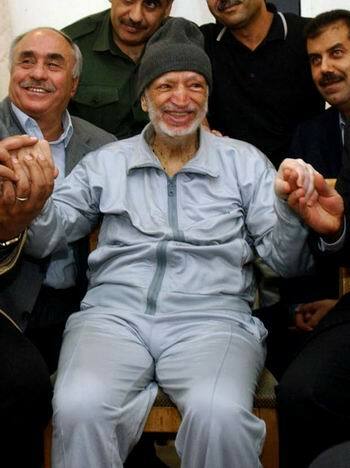 He conspired with Preres to overthrow of Arafat. "If this meeting was to become known, count me as dead," he told his master. He describes Arafat as a non-realistic man and asked the Israelis to convince the US to finance the PA when he gets elected. Again, the would be "assassinate" was killed by but by poison. "In the final analysis, the Libyan revolution has an Arab-Islamic face, heart and mind. It will not betray or disappoint Muslims anywhere in the world. Just give them a grace period, and they won't disappoint you."" "This is not wishful thinking or daydreaming. Because Palestine and Jerusalem are always in the hearts of all Libyans and other Muslims." At a time when the clouds of tyranny and despotism are being dissipated throughout the Arab world, the little Palestinian Authority (PA) continues to behave characteristically toward the forces of patriotism in occupied Palestine, namely as an authoritarian security agency at Israel's beck and call. How else can one relate to recent reports that some PA security agencies have been sending summons for interrogation to some of the Palestinian prisoners recently released from Israeli dungeons and concentration camps in the context of the Shalit swap deal? This writer tried to contact the Palestinian security apparatus to enquire about the veracity or mendacity of the said reports. Unfortunately, officials wouldn't answer questions "because these are sensitive security matters." Some "unofficial" PA sources spoke of "summons for sipping a cup of coffee" with security officials in the freed prisoners' area of residence. But this is an insult to people's intelligence, to say the very least. After all, the PA security agencies have an ignominious record of mistreating, tormenting, humiliating, torturing and even murdering political detainees in their custody. During the dishonorable era of Keith Dayton, the infamous American CIA General tasked with the mission of morphing Palestinian soldiers into soldiers in the service of Israel , some PA security agents indulged in every conceivable barbarity act against innocent detainees. The task they were trying to carry out was not to serve their country or national cause, but rather to obtain a certificate of good conduct from Israel and her guardian-ally, the United States. We thought that the Dayton era was well behind us. However, the dishonorable behavior of the security agencies reminds us that Dayton and the collaborationist mentality he sought to implant in the minds of these so-called "officers" still guide the PA security apparatus, especially in its dealing with the Islamic opposition. 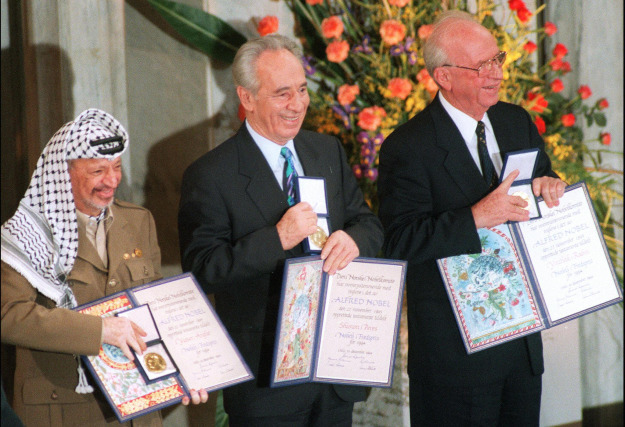 What makes the summons especially repulsive is the fact that it comes only a few days following the implementation of the Shalit deal which really represented a rare triumph for Palestine and its struggling people. Furthermore, this despicable conduct comes amidst renewed calls for accelerating the reconciliation process between Fatah and Hamas. Hence, one is prompted to ask: What is going on? Are there traitors at the table? Indeed, what is the point of holding a meeting between Chairman Abbas and Brother Khalid Meshaal, thus unnecessarily raising high expectations among our people, if certain elements within the PA security apparatus continue to behave in this way? I don't know if the PA leadership is aware of the summons' story. But as the Palestinian-Arab adage goes, it is a calamity if it knew what happened, but it is even a greater calamity if it didn't. We hope and pray that the PA will turn a new page before it is too late. The Arab spring, which has revived hopes in the hearts of millions of Arabs and Muslims for a better tomorrow, will not permit the forces of treason to stab the Umma in the back. FINALLY !! The TRUTH Comes Out ! We came, we saw, we are are stuck. Has President Obama become a joke? Revolution or STEALING Libyan MONEY?